You asked and we listened! 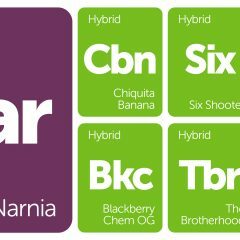 Here we have five highlighted new strains of the week selected by you. 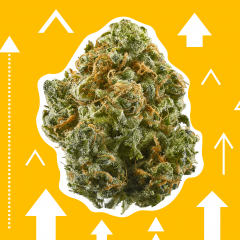 We need your help filling these strain pages with reviews, so if you've tried one of the strains below, we encourage you to share your experience with the rest of us! None of these look familiar to you? Worry not, there are plenty of other new varieties waiting! Sensi Skunk from Sensi Seeds is a potent Skunk #1 hybrid that offers a sweet and citrus flavor in contrast with the earthy, herbal aroma typical of Skunk varieties. The indica-driven effects produce a calm and euphoric buzz that relaxes tense muscles and alleviates stress. A great choice for indoor gardeners, Sensi Skunk boasts a short flowering cycle with heavy yields. Sensi Seeds has also released feminized and auto-flowering versions for those looking to streamline the cultivation process. 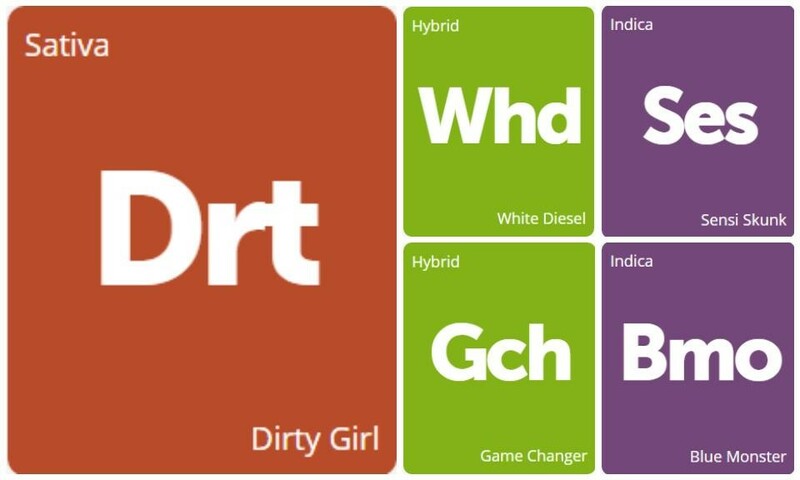 Dirty Girl is a sativa-dominant cross of a Trainwreck hybrid, known as Arcata Lemon Wreck, and Cinderella 99. The combination produces a tropical aroma of pineapples, citrus, and fruit, with a sharp pungent note reminiscent of Pine Sol. The flavor of Dirty Girl is like sweet lemon candy and the effects it produces are happy and creative. Dirty Girl will elevate your mood and help avoid the complications of depression, anxiety, and migraines / headaches. The 60/40 indica-dominant hybrid Game Changer is a clone-only strain plausibly named for its ability to pivot bad moods, aches, and pains. It descends from California’s Purple Dragon and Thailand’s landrace sativa known as Green Thai, and this genetic fusion is evident in Game Changer’s twisting hues of vibrant green and deep purple. Floral notes sit quietly under a loud aroma of tropical fruit and grape in a show of this hybrid’s complex terpene profile. Whether it’s day or night, Game Changer offers unencumbered euphoria perfect for those looking to ease into the cannabis waters. White Diesel is a sativa-dominant hybrid that mixes the resinous White Widow with the pungent flavors of NYC Diesel. The buds from White Diesel produce a zesty combination of lemon, grapefruit, and the diesel fumes that we’ve come to expect from Sour Diesel varieties. The effects are a well-rounded mix of an uplifting sativa head buzz with mellow body relaxation. 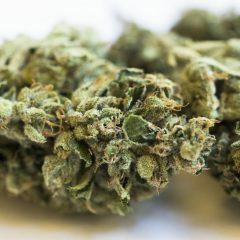 Medical patients enjoy White Diesel’s ability to ward off anxiety and depression, and for combating migraines and gastrointestinal disorders.